Please have all drawers emptied before our arrival. The heavier the item, the smaller the box it should occupy. Please try not to exceed a weight of 50 pounds per box. Place boxes together in a central location after packing to save time and money. Never use printed newsprint to wrap fine china, dishes, plates, glasses, etc. Please have washer/dryer disconnected prior to our arrival. Refrigerators and freezers must be empty prior to moving. Disconnect electronics, take off lampshades, take down pictures and mirrors, compile backyard furniture in one spot. If you’d like, you can take apart things like beds, desks, entertainment centers, leaves from the dining table, glass from curio, etc. Otherwise, our guys must spend time disassembling and assembling, which is no problem – but it does take time. We do not move the following items: household plants, hot tubs, grand pianos, firewood, hazardous materials, gasoline, propane gas, paint, construction materials such as sheet rock, cement, etc.,used auto parts, large commercial machinery or firearms and ammunition. Pack prescriptions and immediate necessities in an easy-to-access suitcase and set it aside from the items the movers will be packing/moving. The moving business is unpredictable at times and we ask for your patience on your moving day. The time we have appointed for you may change slightly. Strip the linens off your beds so we can take them apart and move as needed. Electronic components such as stereos, computers and other delicate equipment must be packed in it’s original shipping box or in a box that affords the same degree of protection as the original shipping container. We do ask that you remove any valuables (cash or jewelry, firearms, etc.) before we arrive. We do not accept any liability for moving these items. We charge $150 to move a safe or upright piano. 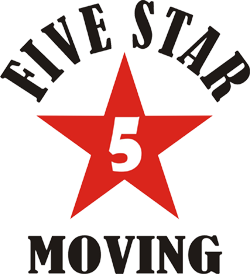 Tips: As with any service occupation, our movers do accept tips. 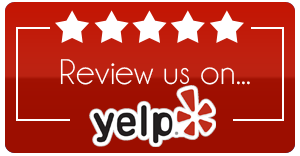 Tips are not required or mandatory on your part, but if our crew does an outstanding job for you, and you liked the quality of service the crew provided for you, a tip would be appreciated. Sit back, relax and let us take the stress out of your move!